I have had a request for spectra of this star from Prof Subo Dong of the ASSASN team. 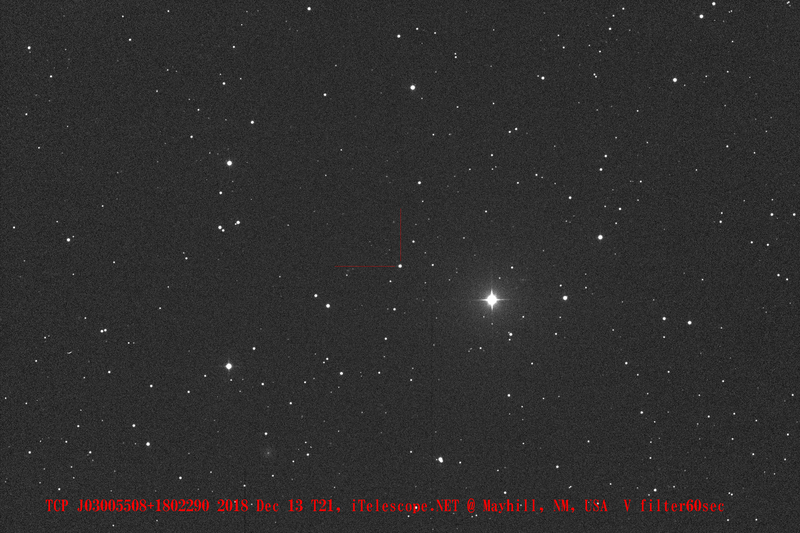 This star was not thought to be variable but has brightened by suddenly by ~3 mag to ~ mag 12. I plan to try tonight but I have thin high cloud currently. LISA spectrum, 4500 sec integration, very similar to Robin's above. According to a recent email to the CBA group by Tonny Vanmunster reporting observation of superhumps, it is a probably an AM CVn type dwarf nova.